Eminent historians explore some prevalent beliefs associated with Vedas: How Vedic are our religious traditions? Is Puranic religion the same as the Vedic religion? What is Hindutva? What features are unique to Hinduism? Is the Bhagavad Gita the sacred text of the Hindus? 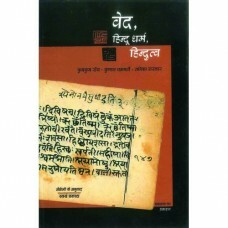 Three articles take the readers through Vedas, Hindu dharma and Hindutva.